Sir Bobby Robson Charity Auction: Get up close and personal with Messi, Neymar and Suarez! 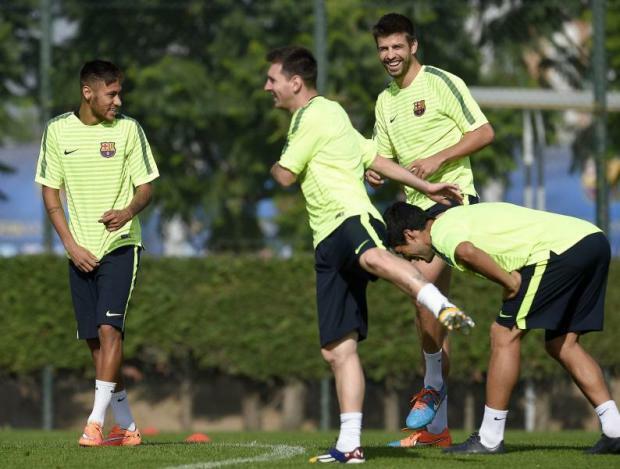 How would you like a close-up view of Barcelona superstars Lionel Messi, Neymar and Luis Suarez in training? Of course you would, right! You could be pitchside as the Barca stars are put their paces on the training ground, before watching them in action in a key match at the Nou Camp. It’s an incredible opportunity to see the likes of Messi and Neymar as you have never seen them before, and is just one of more than 100 fantastic opportunities open to football fans as part of the latest Sir Bobby Robson charity auction. Other auction items up for grabs include tickets to the Champions League final in Milan, a trip to the Ballon d’Or, lunch in Russia with Andre Villas-Boas. 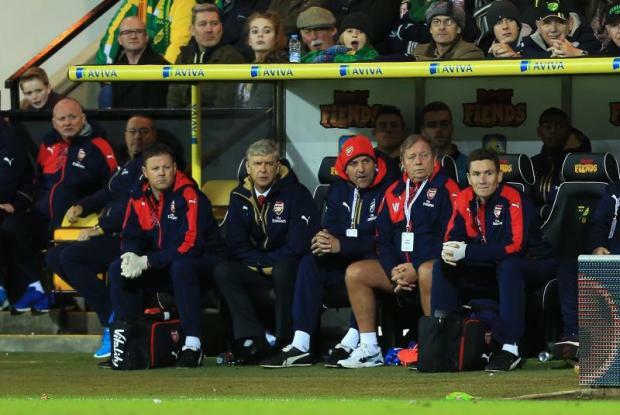 Arsenal's 1-1 draw at Norwich meant the Gunners finished a poor month domestically with just two points in the Premier League in November. The Gunners drew with north London rivals Tottenham before they were beaten at West Brom last week and, thought they left Carrow Road with a point on Sunday, that figure could well have been zero. The Canaries clash brought other potentially bad news for Arsene Wenger, as Laurent Koscielny and Alexis Sanchez limped off with injuries. Fans were particularly infuriated to see their Chilean star pick up a problem, days after Wenger admitted the 26-year-old had the worry of a hamstring problem. Despite all the doom and gloom, the Gunners remain just two points behind leaders Manchester City and the title race appears to be relatively open, possibly providing Arsenal with a chance to end a 12-year spell without lifting the Premier League. After the Norwich draw, many fans took to Twitter to vent their frustration, while some stated their optimism. 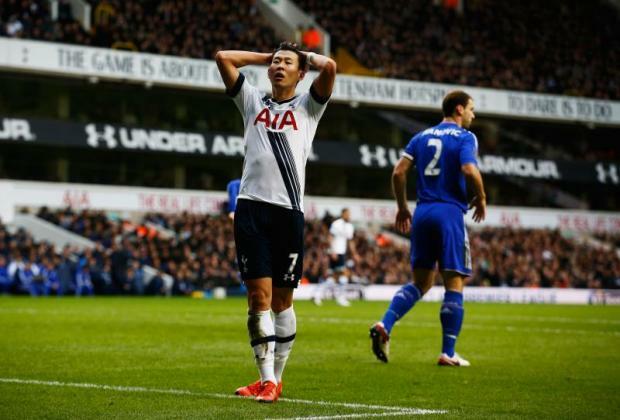 Chelsea and Tottenham played out a dull goalless draw at White Hart Lane in Sunday’s midday kick off. Heung-Min Son and Eden Hazard had the best two chances of the first half, but both players were unable to steer their headers into the net. There was very little to report on in the second half but Jose Mourinho’s side were vastly improved in defence from the side that has struggled for so much of this season. The draw means Tottenham miss the opportunity to go one point behind leaders Manchester City, while the Blues remain in 15th. It was a poor start to the game with neither side managing to break through the other’s defence, but it was Chelsea who got a foothold in the match first. Oscar had the ball on the right and whipped in a deep cross on to the head of Hazard – who started in the ‘false 9’ position after Diego Costa was dropped – but the Belgian could not direct the ball on target. Minutes later Pedro went even closer when he cut in from the left and fired a rocket of a shot towards Hugo Lloris’ goal but it went an inch over the bar. Spurs’ best chance of the half came after some great work from Harry Kane as the Englishman’s cross found Son, but the former Bayer Leverkusen forward headed straight at Asmir Begovic. Things threatened to boil over as Tottenham full backs Danny Rose and Kyle Walker were both booked for crunching challenges but the sides went into the break with the score goalless. The second half was even less inspiring than the first with the first shot on goal coming in the 62nd minute when Son linked well with Erik Lamela, who came on for the injured Ryan Mason, before stabbing the ball at Begovic. Chelsea had a great chance to take the lead with 20 minutes remaining when Branislav Ivanovic picked out the much-improved Hazard who fired a stunning volley from a tight angle but Lloris was equal to it. Pedro and Hazard pushed to grab a late winner but ultimately it was a game for the defenders as neither back four would budge with the match ending goalless. 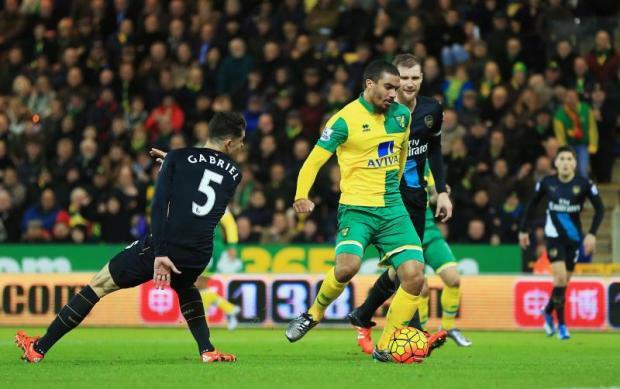 Lewis Grabban repaid the faith shown in him by manager Alex Neil as his strike helped Norwich to a hard-earned 1-1 draw against Arsenal. The former Bournemouth forward started his first Premier League match for three-and-a-half months and he capitalised on poor defending by Arsenal to put the Canaries level before half-time. Arsenal had initially dominated the first half at Carrow Road and they took a deserved lead through Mesut Ozil, when the visitors capitalised on a mistake by John Ruddy. The German was set through on goal and he made no mistake, punishing the English goalkeeper by cheekily lofting the ball into the net. After a convincing 3-0 Champions League win over Dinamo Zagreb in midweek, the Gunners took the ascendancy into this fixture. It was a meeting between sides with far different ambitions at opposite ends of the table, but Arsene Wenger will see it as two points dropped as it leaves his Gunners side fourth in the Premier League. Meanwhile, Norwich will see it as a good point, although they could have had all three. The north Londoners were the better side from the offset, as Alexis Sanchez went close before Ozil saw his shot deflected past the post. Wenger’s game plan would have been altered slightly as the French boss had to use a substitute early on to replace the injured Laurent Koscielny, who was replaced by Brazilian defender Gabriel. After good work by Nacho Monreal, the Gunners came close to taking the lead as Olivier Giroud’s volley went to the wrong side of the post. Ruddy made a brilliant reaction save to deny Sanchez before the goalkeeper’s poor clearance led to the opening goal. The Norwich stopper sliced a clearance which went into the air but no further than 40 yards and it led to a quick Arsenal attack. Ozil latched onto a through ball and neatly chipped the ball over oncoming Ruddy to give Arsenal the lead after 30 minutes. The Canaries offered little attacking threat in the first half until Robbie Brady forced Cech into making a save before the interval, the Irishman’s curling effort nearly beating the former Chelsea stopper. Then two minutes later, City were level. Brady was involved again as he turned provider, splitting the Arsenal defence with ease as he found Grabben in the box and the 27-year-old coolly converted, tucking the ball under Cech. Buoyed by their equaliser, the home side could have gone into the break ahead as Andre Wisdom crossed to the far post and Wes Hoolahan squandered a good chance by striking over. Hector Bellerin nearly put the visitors back in front shortly after the hour mark after making a dangerous run into the box, his volley hitting the side netting. Cech had to be on hand at the other end to make an outstanding reaction save when Martin Olsson’s cross ricocheted towards goal and he did well to get a hand to the ball. Jonny Howson snatched at a shot following good play by Ryan Bennett and the former Leeds captain squandered a chance by hitting over the bar, while Giroud should have headed home for Arsenal as he fired over Bellerin’s cross at the other end. The game was increasingly open in the closing stages and it could have gone either way with end-to-end chances, despite Arsenal dominating the majority of possession. Get FIFA 16, FUT 16 coins for opening packs now! Vbgamecoins provide affordable and sufficient FIFA 16 coins on Playstation4, Playstation3 and Xbox. There is 24X7 live chat service. You can get your coins right after you ordered. Click here to buy your FIFA 16 coins! 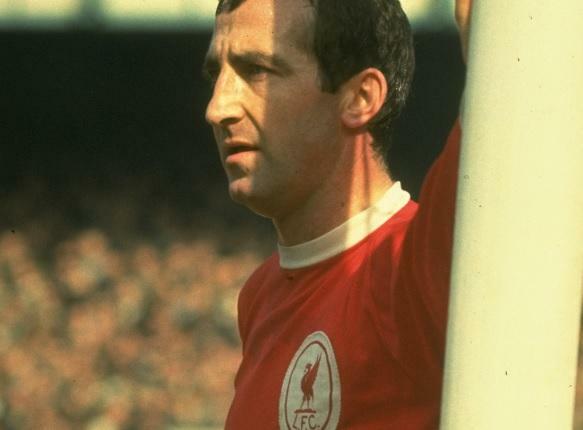 Former Liverpool left back Gerry Byrne has died aged 77, the club have announced. Between 1957 and 1969, he played 333 times for the Reds, scored four goals, won the two First Division titles, an FA Cup and the Second Division title. He was also never once sent off and in the 1965 FA Cup triumph against Leeds, played the entire game with a broken collar bone, having injured himself in the opening minutes. Byrne was also a member of the England 1966 World Cup winning squad. Jamie Vardy will steal the headlines after scoring in 11 consecutive Premier League games, but it was a great team performance by Leicester as they drew with Man United. At the start of the season, not many would have billed this as a top of the table clash, but that is exactly what it was. In fact, the last time Leicester faced Man United, the Foxes were bottom of the Premier League, but this time they began the game at the summit and were also chasing their fifth straight league win. 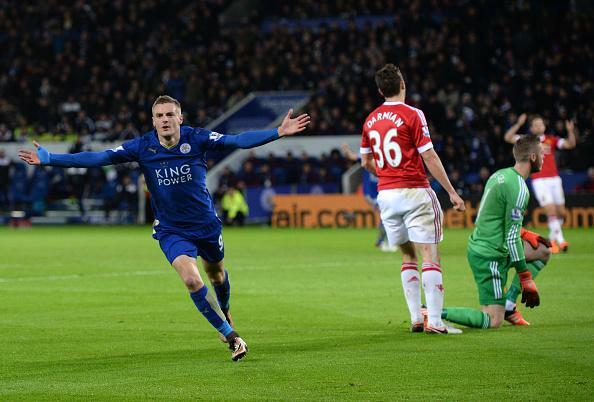 And Vardy did not disappoint the home fans, who turned up in their thousands hoping to see him make history as he finished an excellent counter attack, which began with Kasper Schmeichel. Dealing with a United corner, the Leicester goalkeeper threw the ball to Christian Fuchs, who surged forward and gifted Vardy a wonderfully precise ball to latch onto and shoot beyond David De Gea. In doing so, the striker has beaten Ruud Van Nistelrooy’s long standing record and there was even a tweet from the former United striker congratulating Vardy. However, Man United fought back to end what was a fast paced 45 minutes, level courtesy of Bastian Schweinsteiger, who headed in Daley Blind’s corner. The second half was not as frantic as the first, but Man United looked the more threatening initially as they searched for a second, but Leicester always looked dangerous on the counter. Leonardo Ulloa was unlucky not to have scored as the game entered the final 20 minutes. As United pushed for a goal, manager Louis van Gaal, to many fans’ surprise, took captain Wayne Rooney off and replaced him with Memphis Depay. The England man appeared to have picked up an injury, which was probably fortunate for him considering he struggled to make an impact. Leicester kept pushing for another goal, but were almost undone in the end by Matteo Darmian, whose shot from the edge of the area sailed narrowly over the bar. When the final whistle sounded, though, all focus was on man of the match Vardy and Leicester, who drop to second, level on 29 points with Man City. Jacob Butterfield scored twice to former league leaders Hull City as Derby County climbed to the Championship summit on Friday night. Butterfield fired the visitors ahead inside the first 20 minutes at the KC Stadium before doubling the lead with a superb volley after 34 minutes. Hull came back into the game in the second half but were denied by a fine goalkeeping display from Scott Carson. The defeat for Steve Bruce’s side leaves them in second place ahead of Brighton, who can usurp the Rams at the top if they beat Birmingham on Saturday. After a cagey start from both sides, it was Derby who grew into the game quickest as they went close twice, first through Cyrus Christie’s mazy run and shot and then by George Thorne’s 35-yard effort. The deadlock was broken after 17 minutes when Andreas Weimann unlocked the Hull defence with a neat one-two, before the ball fell to Jacob Butterfield who sweetly stroked the ball into the bottom corner. Following the goal, both sides struggled to create anything else until Butterfield struck again ten minutes before half time. Christie’s cross from the right was cleared by the Hull defence but only as far as the 25-year-old who unleashed a first-time, left-footed volley passed a helpless Allan McGregor in the Tigers goal for his third if the season. Hull came out after the break on the front foot and almost forced an own goal from Richard Keogh as he was close to slicing into his own net. The hosts’ best chance of the night when Abel Hernandez set up Shaun Maloney on the edge of the area, but the Scot saw his short squirm slightly wide of Scott Carson’s post when he should have scored. Hull suddenly became the better team and Maloney should have scored again but was this time denied by the inspired Carson, who made a fine save. However, they could have found themselves three goals down as Tom Ince picked up the ball on the half volley but his shot whistled passed the post. 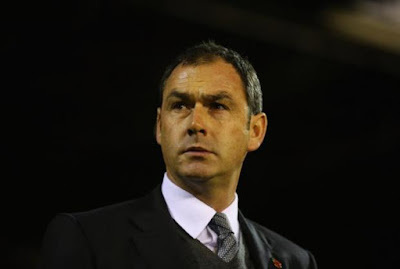 The Tigers continued to push for that elusive goal, but Paul Clement’s side managed to hold out as Sam Clucas spooned over from close range at the death. 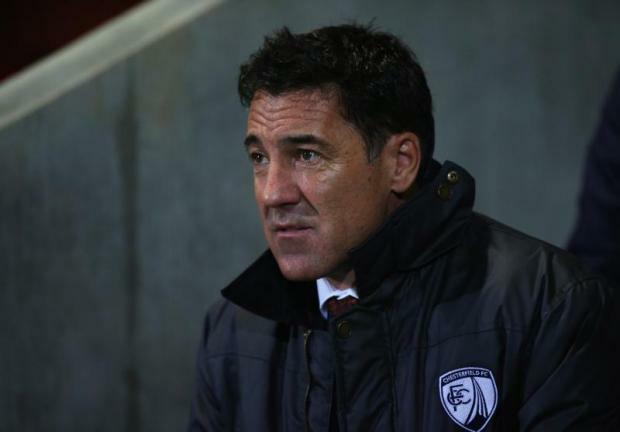 Chesterfield have sacked manager Dean Saunders after Saturday's 4-0 home defeat to Swindon. Saunders, who took over from Paul Cook in May, leaves the Spireites 15th in League One, with the reverse to Swindon a fourth in a row. His assistant Brian Carey has also left the club. A club statement read: "Chesterfield have parted company with manager Dean Saunders and his assistant Brian Carey following a 4-0 defeat at home to Swindon Town. "An interim management team, which will be announced in due course, will take temporary charge prior to the appointment of a new manager." Chairman Dave Allen added: "We will not be rushed into making a decision on a new manager." Saunders, who made five changes to his side for the clash with the Robins, was not expecting the sack when he addressed the media after the game, but knew he had to start getting results. He said: "It's a results business and I have to get enough results for us to regroup as a club. 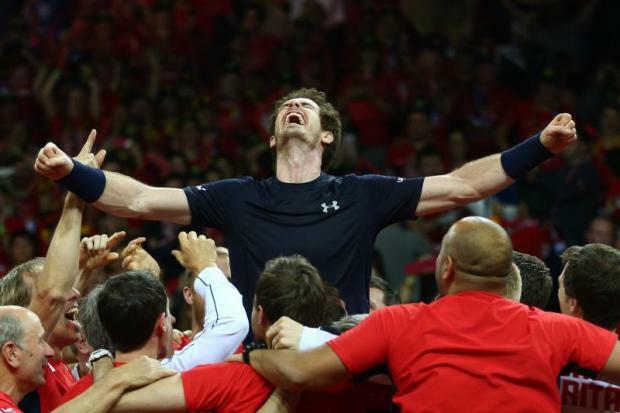 "As a manager all you try and do is survive long enough to get it right. We're not in a crisis, we've just hit a bad patch and a couple of good results get us back to where we should be." 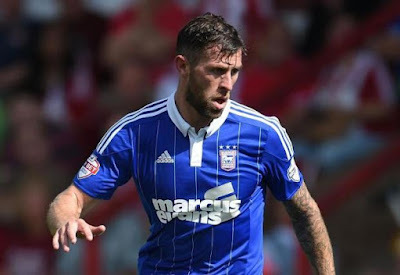 Ipswich continued their rich vein of goal-scoring form as goals from Daryl Murphy and Freddie Sears ended Charlton's mini-revival with a 3-0 victory at The Valley. The duo both scored in the first half and Murphy grabbed another after the break as Town banged in their 12th goal in four matches to edge nearer the Championship play-off places. Both teams had been in good form of late after being in something of a slump, with Charlton looking for a third win in a row after going 12 games without victory, while Ipswich are now scoring for fun after managing just one in five games previously. The Addicks were dealt a blow after 13 minutes when they lost skipper Johnnie Jackson to injury, which saw substitute Chris Solly going into the backline and Morgan Fox moving up into midfield. Jackson, who signed a new one-year contract extension on the eve of the game, has been a talisman of late with a goal in each of their previous wins and his loss clearly disrupted the hosts. Ipswich pressed and Stephen Henderson had to be alert to a Murphy header after a Pitman shot, and the Charlton keeper went down smartly to get behind a Sears effort. Henderson moved sharply to block another Sears shot when he scampered clean through but Charlton failed to clear their lines and were punished in the 28th minute; Murphy heading the opening from close-range as he took advantage of some dire defending. Town took further advantage when Sears latched on to Luke Chambers' clever through-ball and he beat Henderson with a low shot for his fifth goal of the campaign. Ademola Lookman was Charlton's biggest threat with varied efforts and skilful build-up play. He was given added support up front at the break when Charlton's caretaker boss Karel Fraeye handed Ricardo Vaz Te his home debut as the hosts looked for a revival. It was Ipswich, though, who struck again in the 69th minute with a goal that owed much to Sears' tenacity and vision. The ex-West Ham and Colchester forward battled to win a ball off two Charlton defenders, played a low ball inside for Jonathan Douglas, who played a neat pass across goal, dummied by Pitman, and Murphy steadied him before finishing for his sixth goal in three games. Dean Gerken made three top saves in the last ten minutes when he blocked a Patrick Bauer diving header with his leg and pulled off two cracking stops from Vaz Te, as Charlton launched a late flurry, but it was acase of too little too late for the hosts. Are you ready for Black Friday pack? Get FIFA 16, FUT 16 coins for opening packs now! Vbgamecoins provide affordable and sufficient FIFA 16 coins on Playstation and Xbox. There is 24X7 live chat service. You can get your coins right after you ordered. Click here to buy your FIFA 16 coins! 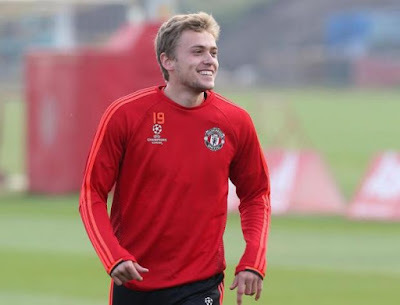 Manchester United striker James Wilson say it was a one horse race when it came to joining Brighton on loan. The 19-year-old moved to the Championship side this week in an attempt to get more playing time. Several clubs enquired after his services but, after speaking with team-mate Jesse Lingard, Wilson says it was an easy choice. "There were a lot of clubs interested, but there was only one horse in the race for me," Wilson told Brighton's website. "It's a brilliant club, brilliant facilities, and I think the style of play will suit my game, so that was the basis behind my decision. "I asked Jesse Lingard for some advice too, and about what it was like here. He told me it's a great club. "Everyone I've spoken to has said it's a brilliant set-up and a brilliant club, with a great bunch of lads." Chelsea and Manchester United target Paul Pogba will not be moving anywhere in January, according to the player's agent. The Frenchman has impressed for Juventus once again this season and Europe's big clubs are circling. Chelsea and United both want to lure the midfielder to England, while Barcelona and Bayern Munich are keen too. But Pogba's agent, Mino Raiola, has revealed that his client will be going nowhere during the upcoming transfer window. 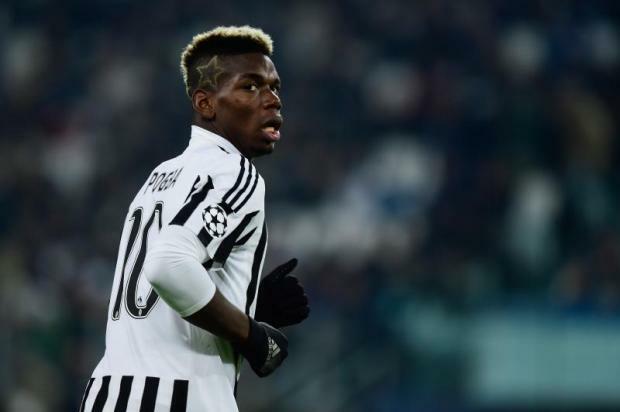 "Pogba is no longer a surprise," Raiola told Mediaset. "He's not a youngster just being discovered. A player with his talent is known to everybody. There have been offers for him, and they're still there. "Last summer he decided to stay another year at Juve, and he kept his word. We're not preoccupied with thoughts of his future, we're thinking about that. "Paul is a lad who decides with his heart, and at the moment he's focused on Juventus. I can categorically rule out a move in January. "In the future we'll see, we'll talk at the end of July." Jose Mourinho has suggested Tottenham have it easy and are under no pressure ahead of Chelsea's trip to White Hart Lane. The Barclays Premier League champions travel across the capital 10 points and 10 places worse off than their fifth-placed rivals, who last won the title in 1961 and whose most recent trophy was the 2008 League Cup. 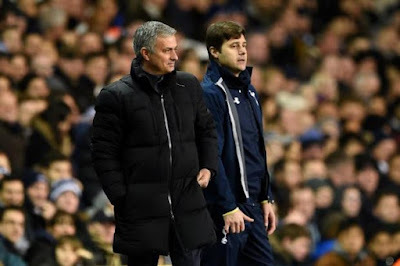 Chelsea have one win in 10 at White Hart Lane and their most recent trip, on New Year's Day, exposed the frailties which have become all too familiar for Mourinho this season as Spurs won 5-3. "(There is) no pressure on them, like it is in the other four or five top teams to reach important positions," Mourinho said. "Nobody speaks about them as title contenders, like they speak about Man City, Man United. "They have great conditions without the same pressure other clubs have to do magnificent work. "They lose a couple of matches and nothing happens. They are in the Europa League, and, in the group phase, to be fair, nobody cares about Europa League. "They go smoothly, step by step. They build a team. They bring in young players. They give conditions, without any kind of pressure, for the young players to develop in the team. "The club is powerful to decide, 'We don't sell, we don't sell, we don't sell', and to decide, 'We can invest and we can bring in this one or that one'. "Of course they need a great manager, which they have. Of course they need good players, which they have. But the conditions are very good."